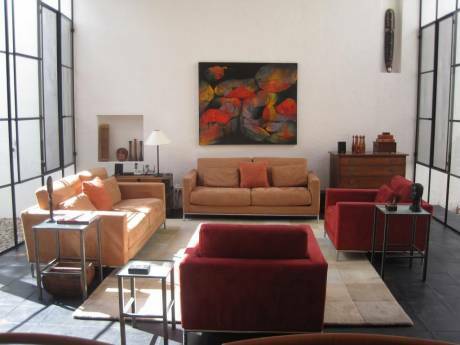 Brand new showplace villa, designed by reknown Mexican architect, overlooks San Miguel and the mountains. Three bedrooms, 3 1/2 baths, library, gym, media room, state-of-the-art kitchen, pool, jacuzzi and gardens. House comes with housekeeper and one affectionate dog. Hi, I am Anne, an early retired hi tech executive in my early 60's, spending this next chapter of my life as an expat in Mexico. I am interested in local architecture, cuisines, customs and culture, the arts and music. My son and his wife divide their time between homes in Bristol RI (late spring, summer, fall) and Alexandria, VA (late fall, winter, early spring). I'm always looking for opportunities to spend more time with my grandson, as well as interesting destinations anywhere in the world. 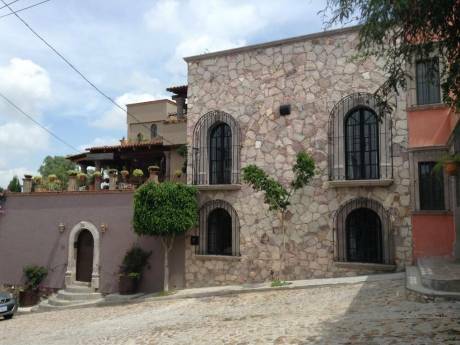 San Miguel is a 450 year old national landmark, famous as the cradle of Mexican independence. Behind the old doorways lie fabulous gardens and elegant hideaways. 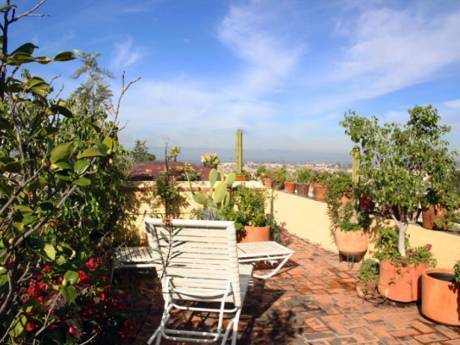 Our home is in a quiet Mexican neighborhood, overlooking the hustle and bustle of el Centro. A 5-10 minute downhill stroll puts you in the center of town. Enjoy walking the quaint cobblestoned streets, peeking into numerous art galleries/studios and shopping at the open air markets. Take in lectures, concerts and plays or hike through the botanical garden. A short ride away, enjoy the thermal hot springs. For more adventurous trips, try Guanajato, Queretaro or Pozos, none more than 1 1/2 hours away. Mexico City is a 3 1/2 hours to the north, easily reached by first class bus.